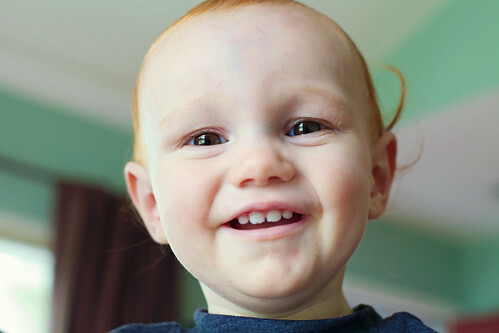 Smiley Guy – 365, 170, originally uploaded by Fluttering By. Yes, I know he’s beautiful, but don’t confuse him for a girl! If you spend five minutes in his presence, you will see the rough and tumble boy he is. Yeah, that chipped tooth and scarred forehead? Didn’t happen while having a tea party.